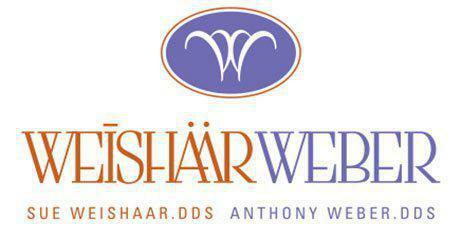 Weishaar & Weber Dentistry always appreciates feedback from our valued patients. To date, we’re thrilled to have collected 7 reviews with an average rating of 5 out of 5 stars. Please read what others are saying about Weishaar & Weber Dentistry below, and as always, we would love to collect your feedback. Alyx was top notch and has a very gentle touch. Very beautiful office. Everyone I met was friendly and helpful. Received important information from Dr. Weber to start a plan of action. Thanks to all. Dr. Weber is a true professional. My wisdom tooth extraction was pain-free, which says a lot to the care and attention he and his team provides their patients. I’ve been going to the office of Dr. Weishaar for years, and I have never been let down. And now I can add Dr. Weber to my tool kit for oral care. Thank you all for making my dental experiences good ones! I neglected my teeth for many years. When I first went to this office and met Dr. Weishaar, she was very nice and patient. Dr. Weisharr explained everything she was doing, we made a plan and have slowly done all what’s needed. All the staff is kind and caring. Judy always helps me with my appointments and always helps me with any insurance questions I have. I would recommend this dentist office to anyone, wonderful office with great staff. Thanks so much for working me in to your busy schedule! Dr. Weishaar diagnosed my need for a root canal procedure and Dr. Weber was able to see me in one session to get it treated and prepped for a crown the next day! I'm relieved and grateful to not have to worry about ruining my vacation next week with an abscessed tooth in Mexico. Thanks for the great support and the kindness and attention of your wonderful staff! Appointment was quick and easy. Juliann was excellent, very positive experience.